BEIJING - The country's top education official hailed the global expansion of Confucius Institutes as an efficient way to promote "soft power" and appeal to more overseas students. "The language and culture courses provided by the institutes abroad have attracted an increasing number of foreigners to have a real look at today's China," Minister of Education Yuan Guiren told China Daily. China's long history of civilization, socio-economic development as well as its growing international influence had all combined to attract more foreign students, Yuan said. "China, with its rapid economic growth, will provide foreign students with not only a platform for learning but also employment opportunities," the minister said. By the end of 2009, some 282 Confucius Institutes and 272 Confucius classrooms had been established in 88 countries. They were educating about 260,000 students in 2009, an increase of 130,000 over 2008, on China's culture and language, according to the institutes' headquarters. A pre-study period in one of the institutes provides a valuable insight and helps foreign students later study in China with lower costs and less language difficulties. China has seen a surge of foreign students with numbers hitting a record high of 240,000 in 2009, according to statistics released by the ministry earlier. There are plans to attract 500,000 foreign students by 2020, after a series of bilateral educational cooperation programs are launched in 2010. President Hu Jintao and his French counterpart Nicolas Sarkozy vowed on Nov 4 to work together to increase the number of French students studying in China by 10,000 over the coming five years . During his visit to China a year ago, US President Barack Obama announced that the United States was committed to sending 100,000 more US students to study in China over the next four years. The government provided 800 million yuan ($117 million) in scholarships to international students this year and provincial governments offered about 110 million yuan, according to the ministry. "The scholarships will cover more foreign students, and China has adequate high-level accommodation and first-rate teachers for international students," Yuan said. The government published the National Outline for Medium and Long-Term Education Reform and Development (2010-2020) on July 29, which included expanding international cooperation and higher-education exchanges. The minister also highlighted the need for more first-rate teachers, with fluent English, for international students before 2020. "We encourage more presidents of universities, and heads of middle and primary schools to visit foreign countries and bring more of the Western educational concept to China," he said. 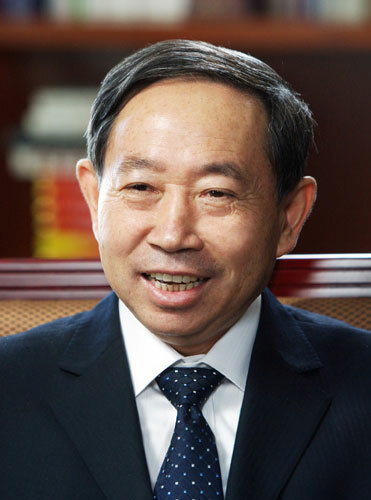 "Internationalization of education is a part of educational reform in China," he said. China also provides pre-session courses to facilitate international students who have difficulty in attending courses in Chinese.